Here are a few more things we did with graphs this week. We used balls (my p.e. teacher bagged up a bunch of different ones for me) to create a real object graph. Then we moved the real objects to a pictorial representation. We started by referring back to the anchor chart we made earlier in the week. This anchor chart came from Kim Adsit's Graph It! unit. First we posed a question. I asked my students what kind of ball they liked to play with. I let my students choose a ball from the bag. You could also have them bring in one of their own from home. Then we collected the data by sorting the balls into groups. We used the balls to make a real object graph. Then each student replaced their ball (real object) with a picture of it. This graph came from Kim's Graph It! unit. I posed the question "Would you want a kiss or a band-aid on your boo-boo?" My students filled in their recording sheets while I modeled for them in a whole group. We collected data by having students answer the question and recording their response with a tally mark. After we collected the data, we made the graph. I made a graph with the whole group while students filled in the graph on their recording page. I enlarged the pictures from Kim's small graph to make the large graph. When each student answered the question I gave them the picture that went with their choice. They colored it and brought it back to the carpet. We went around the circle, students answered the question, added their picture to the large graph, and marked the picture on their own recording sheet. 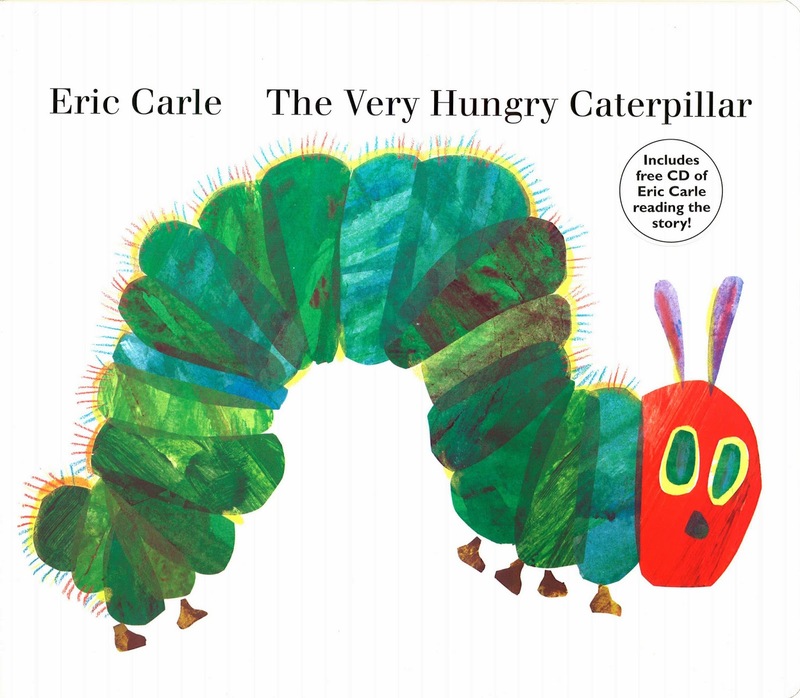 This week we have been celebrating the 45th anniversary of Eric Carle's The Very Hungry Caterpillar and even though the book has been around for that long and I have been reading it over and over for the last 21 years, I am "still hungry" for it! 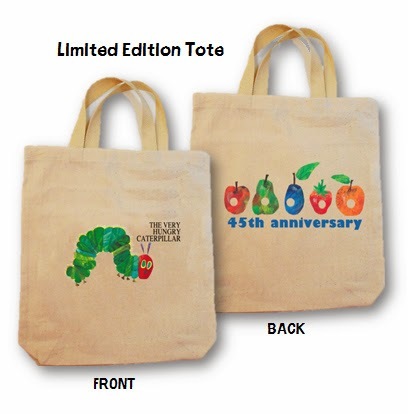 In honor of the book's 45th anniversary, Penguin books has graciously offered to give away 2 limited edition anniversary totes and 2 copies of The Very Hungry Caterpillar board book to one lucky winner- one for the winner to keep and one for the winner to share. Keep reading to find out all of the details. Here is a little bit about how we used The Very Hungry Caterpillar this week. We used the book as a springboard for talking about patterns in books and how they help us as readers. This anchor chart came from Kim Adsit's Discovering Patterns unit. We read the book and talked about it had both a growing and a repeating pattern. Kim's unit also has a great anchor chart and lessons for talking about several different types of patterns. After talking about ways patterns help us when we read, we made patterns using bingo dabbers. After the dots tried, we made caterpillars to add to them. To make the caterpillar we clipped corners and rounded. The original idea for this caterpillar came from TLC Lessons. I modified it slightly for what we did. I found the idea behind this activity on Pinterest. Unfortunately, the link did not take me back to the original source so I cannot give the person credit. Keeping with patterns, we revisited our study of patterns in events. We discussed the life cycle of the butterfly and how it is a repeating pattern. We made this map to show the pattern. Students worked in small groups at their tables to create each part of the life cycle. We constructed the map and labeled it together as a class. 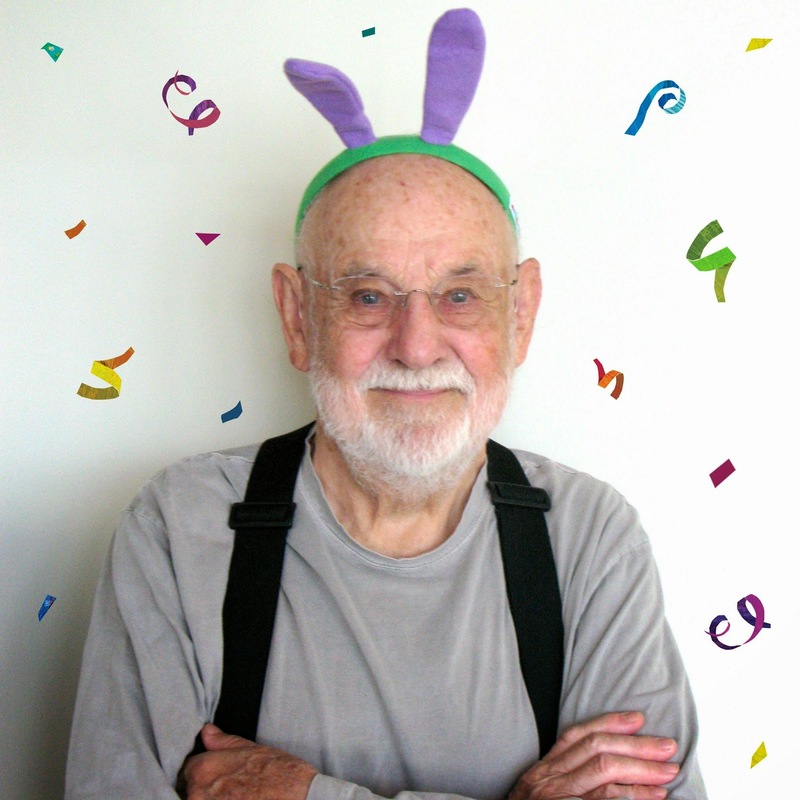 Eric Carle (www.eric-carle.com) is acclaimed and beloved as the creator of brilliantly illustrated and innovatively designed picture books for very young children. He has illustrated more than seventy books, many best sellers, and more than 100 million copies of his books have sold around the world. 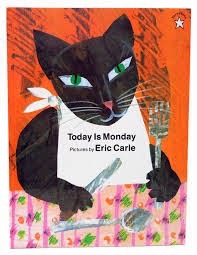 In 2002, Eric and his wife Barbara opened The Eric Carle Museum of Picture Book Art (www.carlemuseum.org) in Amherst, MA, a 40,000 square foot space dedicated to inspiring a love of art among children by introducing them to picture book art by renowned artists from around the world. 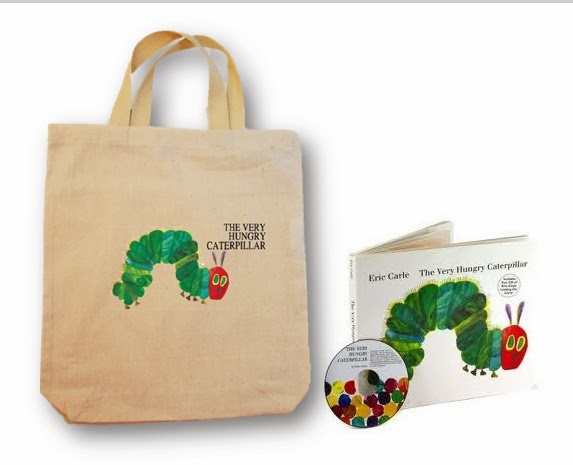 To enter the giveaway, simple leave a comment saying why you are "still hungry" for The Very Hungry Caterpillar. Don't forget to leave your name and email. The giveaway ends at midnight on Sunday, March 9th. This week we are revisiting graphs. We have gone back to real object graphs and will be moving to pictorial today. Here is what we have done so far. 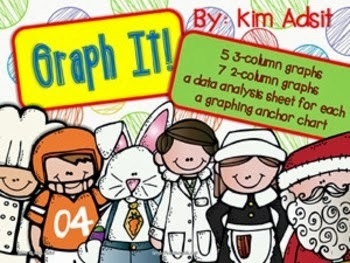 We started our week by making the graphing anchor chart from Kim Adsit's Graph It! unit. I love Kim's anchor charts! They really help to give my students a visual both throughout our unit of study and as we move on, but continue to use what we learned. With each graph we have worked through the steps for how to make a graph and I constantly refer to the chart as a reminder to my students. This is a great nonfiction text for introducing graphing. To start the week, I posed the question how many blocks do you have of each color. Students collected data by sorting the blocks by color. Then they constructed graphs using the blocks. I walked around and had each table analyze their graph by asking questions such as how many red do you have or which color do you have the most of? etc. Moving forward we continued using real objects, but added a grid for constructing the graph. Students worked on their own here to sort tiles by color, create a graph, and analyze their graph with a partner. We did the same activity using colored bear counters. For this lesson, we worked through the graphing process as a whole class. We posed the question "Do you you want chocolate milk or white milk with your cookies?" Then we collected the data by asking each student the question and recording their answer. We had cookies and milk. There was lots of cookie dunking going on! We created our graph using our milk cartons. Then we analyzed our graph by asking ourselves lots of questions about it to see what we could learn from it. Today we are creating a real object graph, then transferring the information to a picture format to make it a pictorial graph. We are going to finish the week with some of the graphs and recording sheets from Kim's unit. We started learning about the sun and stars this week. We made a schema chart to get our learning started. We also compared what we recently learned about the moon to our new learning about the stars. We used shiny gold paint and glitter to paint stars. My class wrote what we added to the Venn on their wipe boards while one student wrote the idea on a sentence strip to add to the Venn itself. This keeps everyone busy, learning, and engaged. I placed paper plates of gold paint and glitter in the middle of each table. Students painted the entire piece of paper gold. After the paper dried, they drew a star on the back of it and cut it out. We will continue our learning on the sun and stars next week. Click here for more posts about the sun and stars and here for my sun and stars unit. I know this post is a little late, but I just love these Abe Lincoln portraits from TLC Lessons so I had to post them anyway. I have been making this TLC Lesson with my little ones since I first learned about TLC Lessons. You can find Abe in the Winter Book. (to find the lesson or to check out other TLC Lessons go to the website tlclessons.com or to the TPT store) The words came out too large when we made the map so I adjusted them and added a few other ideas my kids came up with to the freebie. Click here to download it. We spent a few more days on timelines last week. 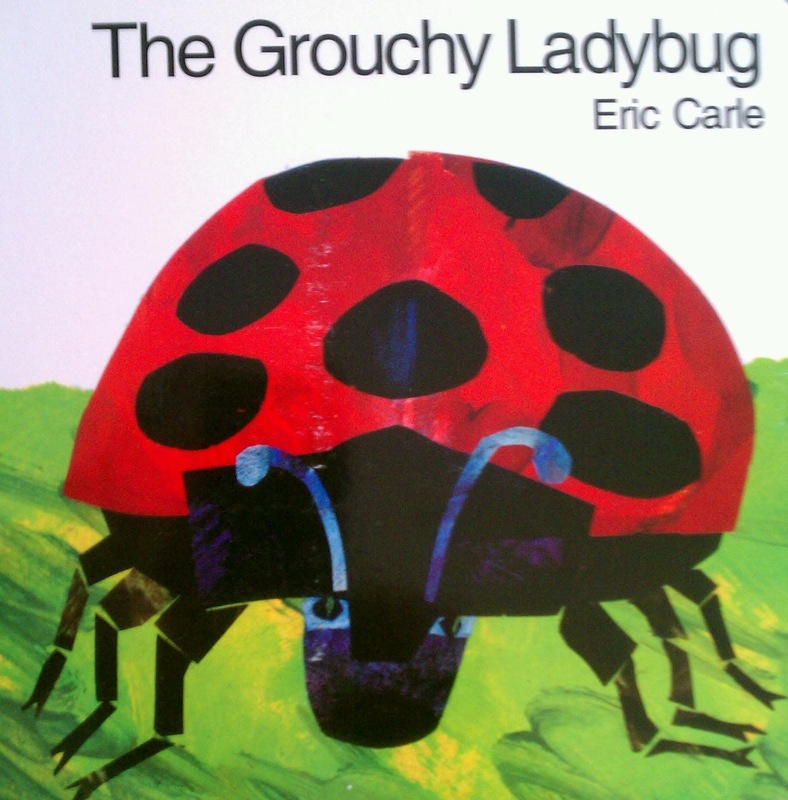 We read The Grouchy Ladybug. Then we made a circular timeline to show what happened to the Grouchy Ladybug throughout the day. We read Today is Monday. Then I had the students work in small groups to construct timelines to go with what happened in the story. I gave them large sheets of bulletin board paper. They worked together to color their pictures, cut everything out, and construct their timeline. We made a historical timeline. We focused on the historical figures we have learned about- George Washington, Abraham Lincoln, Barack Obama, Martin Luther King, Jr., and Stephen F. Austin. We started with current events (Barack Obama is our president.) and the event that happened first (George Washington was our first president). We filled in our timeline with Abraham Lincoln, Stephen F. Austin, and Martin Luther King, Jr. We recalled what each person did and then talked about when the event happened. We learned that events that happened close together need to be placed close together on the timeline. These three timeline resources are bundled here.